Muscle relaxants, or anti wrinkle injections, need not be associated with a frozen or paralysed face, which you would agree sounds scary! The purpose of muscle relaxants is to give a natural-looking reduction in lines and wrinkles and a softer, more refreshed appearance. 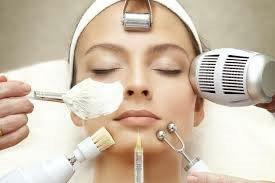 We use anti wrinkle injections to reduce lines and wrinkles on the face and neck. Please call us for more details.